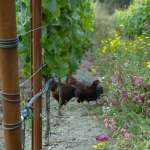 Inspired by a love for Burgundy, proprietor Kevin Harvey has set his sights on making top-flight Chardonnay and Pinot Noir in the Santa Cruz Mountains. The Pinots in particular are exceptional for their sheer personality, but I also think the wines could also prove to be some of the most long-lived Pinots from California because of their minerality and structure. I tasted a wide range of wines with Harvey and winemaker Jeff Brinkman, including a number of older Pinots going back to 2006. Unfortunately (or fortunately, depending on how you look at it) none of those older wines appears close to being ready to drink! 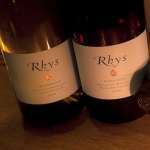 The Rhys team is obsessed with their vineyards. Everything else is fairly straightforward. The Chardonnays are vinified using ambient yeasts. The wines are not racked until they are prepared for bottling, which is done with no fining or filtration. The Pinots are made in a similarly minimalist fashion, with a high percentage of stems (50-100%) and little manipulation in the cellar. Harvey describes 2009 as a cooler vintage overall than 2008. The 2009 Pinot Noir Alpine Vineyard tends towards a dark red, almost black expression of wild cherries. It is an intensely coiled, powerful wine in need of a few years of cellaring. The mineral notes speak very clearly in this pointed, beautifully articulated Pinot. With time in the glass the wine’s inner perfume begins to emerge, but the best is years away. The chiseled, pure finish leaves a lasting impression. 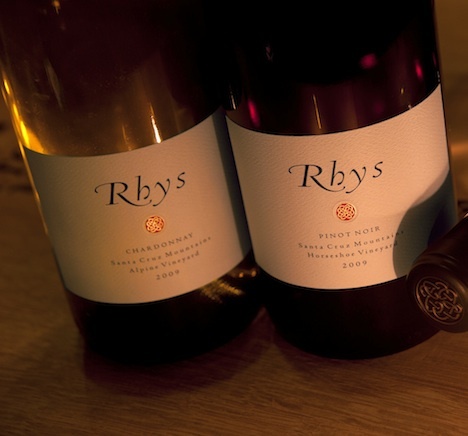 This is the most finely-knit, complete wine in the Rhys portfolio. Anticipated maturity: 2014-2024. The 2009 Pinot Noir Horseshoe Vineyard is the most virile wine in this lineup. Black cherries, mint, iron and crushed rocks come together in this dramatic, generous Pinot. The fleshiness of the fruit nearly covers the tannins, but they are lurking beneath the wine’s considerable fleshiness. Menthol, pine and a host of other dark, balsamic notes wrap around the insistent, powerful finish. Anticipated maturity: 2014-2024. The 2009 Pinot Noir Family Farm is one of the more delicate, ethereal wines in the lineup. Fermentation with 100% whole clusters gives the Family Farm a distinctly floral bouquet and graceful fruit. It is an impeccably elegant wine from start to finish. Anticipated maturity: 2014-2019. The 2009 Pinot Noir Swan Terrace, from a parcel in Alpine Vineyard, comes across as soft, round and floral, with a sensual expression of fruit and a graceful personality. Harvey calls this his ‘Chambolle’ like wine. I find it quite pretty, but lacking the mid-palate pliancy and sweetness of the very finest wines in the lineup. Anticipated maturity: 2012-2019. The 2009 Pinot Noir Santa Cruz Mountains is an excellent introduction to the house style. Floral aromas lead to layers of dark red fruit in this juicy, accessible Pinot. This is the least expensive Pinot in this lineup but it offers terrific balance, and shows no ill effects whatsoever of being tasted among the vineyard-designate bottlings. Fleshy, supple and wonderfully radiant, it will also drink better young than most, if not all, of those wines. The Santa Cruz Mountains is made from barrels that didn’t make it into the Horseshoe and Alpine bottlings. Anticipated maturity: 2012-2019. The 2009 Pinot Noir Skyline Vineyard comes across as rich, round and sensual, with layers of ripe fruit that caress the palate. It is a pretty, juicy Pinot with good up-front fruit and perhaps a shade less minerality and aromatic complexity than the finest wines in this lineup. The aromas and flavors build towards the powerful finish. Anticipated maturity: 2014-2019+. The 2009 Pinot Noir Bearwallow Vineyard offers up sweet red cherries, flowers, berries and mint in a relatively mid-weight, focused style for this winery. Clean, saline notes give the wine much of its energy and focus. It is a tight, inward wine in need of at least a few years of cellaring. Anticipated maturity: 2012-2019. The 2009 Chardonnay Alpine Vineyard is the most vibrant, mineral-laced of these 2009 Chardonnays. Clean, mineral notes frame the fruit all the way through to the vibrant, pointed finish. This is a terrific effort from Rhys. Bright citrus and crushed rocks frame the finish. The 2007, which I tasted alongside it, has aged gracefully. Anticipated maturity: 2012-2019. 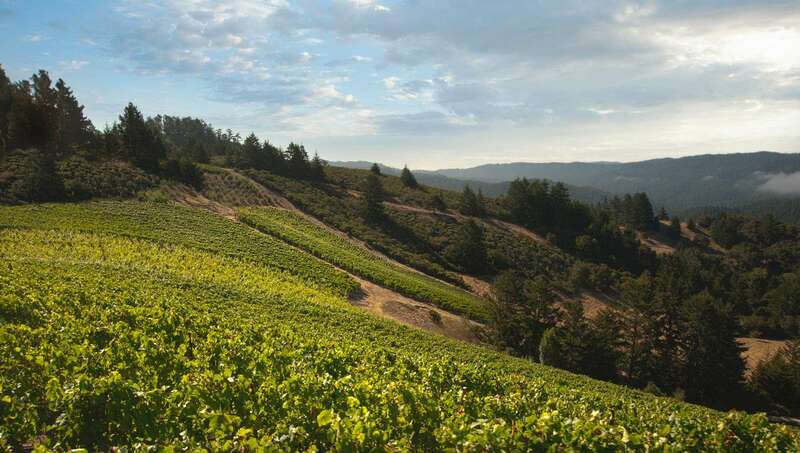 The 2009 Chardonnay Horseshoe Vineyard emerges from the glass with layers of sweet fruit supported by the clean vibrancy that is the hallmark of the Santa Cruz Mountains. This is an attractive, layered wine made in fairly forward, fruit-driven style. Anticipated maturity: 2012-2017. The 2009 Chardonnay Santa Cruz Mountains is made from declassified barrels from the Horseshoe and Alpine vineyards. It is a round, textured wine endowed with gorgeous aromatic complexity and fine balance. This is a rather soft, seamless style that emphasizes the accessibility of the fruit over the more prominent minerality that is found in some of the estate’s other wines. Anticipated maturity: 2012-2019. The 2009 Syrah Horseshoe Vineyard opens with black pepper, game, creme de cassis and white flowers. Blackberries and blueberries appear later, adding further complexity on the finish. This is a decidedly cold-weather, angular Syrah that needs time in the bottle for some of the contours to soften. The Syrah is scheduled to be released in 2012. Anticipated maturity: 2014-2024. ©2011 The Wine Advocate. All Rights Reserved.